Another weekend gone and I have been stuck in the house trying to get my first hat order ready. I have three hats completed and just need linings added. I have two more that need to be assembled but are nearly there. The red and white hat (pictured below) I made using my Solufleece that finally arrived in the post this week. I find that this process is hard on sewing machine needles, so it's good to have a gross of them on hand. I have the lining in this one, so it is technically finished, but I am not happy with it and I will take the lining out and have a bit of a redo. Since it has been mostly wet, I have the perfect excuse for ignoring the growing grass. If I wait another week I might get away with the last mowing of the autumn. I do love gardening, but I just don't seem to have the time or good weather to do as much as I would like. I have planted some hyacinths, narcissus, and crocus for spring, but I would like to get some more tulips and dig up some of the FREE monbretia that grow wild all over. 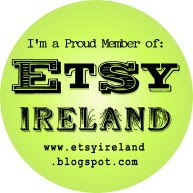 I have a big order from http://www.fibrecrafts.com/ coming this week as part of my winter stockpiling efforts. I also discovered http://www.fabricland.co.uk/ and they have a mad kind of website but there is a tremendous amount of fabric and notions there. Their prices are outstanding. They have the best price on Solufleece and the satin lining fabric that I need for hat linings. Take a look! The minimal amount of house cleaning and laundry was done this weekend so we should survive without being declared dangerous or smelly. I did make lovely calzones for dinner tonight. I seem to be failing to impress the small boy with dinners lately. I thought homemade calzone was a great dinner, but he pronounced it disgusting. This, after I made the sauce and dough and baked the feckin things. I did remind him sharply that not a lot of mom's bother to make things from scratch, but I'd say that landed on the floor before it could reach his ears. He seems to want to eat nothing but crap lately, but I just can't let him get away with that. Perhaps if I starved him for a day he would have a better attitude about eating what's put in front of him...? Sigh. I am eagerly awaiting my Eason's order in the post. It contains Embroidered Books by Isobel Hall. Hall previously wrote Bags with Paper and Stitch and both books are luscious eye candy. I have been toying with the idea of making handmade books or at least really gorgeous felted and embroidered covers. I will wait for a rainy day and sit in my pajamas and read it with a cup of coffee. It goes without saying that it will be sans child. Well here I am again on a Sunday. I am always hoping to post more often, but once a week seems to be my regular posting. I actually got a lot of work done finishing projects up. I have a commission for a butterfly grouping for a child's bedroom and I felted the pieces ages ago and have just gotten around to doing the embroidery and bead work to finish them up. I should finish the third butterfly tonight and then just the ladybird (or ladybug for the Americans) to work on tomorrow. It's amazing that I got ANYTHING done today at all with Kerry winning the All-Ireland and my son being grounded for the weekend. It's so hard to concentrate when they need to eat every hour and want to be entertained. It would be much easier to throw small boy outside and relax, but he cannot stay out past dark on a school night and Wednesday evening found me knocking on six doors before I could locate my wayward son and get him home. Not good. So I am cracking down and I doubt that he will chance sundown before heading home now. I am hemming and hawing about craft shows. I did one craft show last year and I made no money at all on it. The stuff I sent was good but people were just not buying. Do I go again and hope for the best or do I forget it as the time and money for prep will just not be worth it??? When you make lovely, handmade things it's hard when people do not buy, even with good prices.... I was thinking Christmas stars for tree top and ornaments for the tree and making bracelets with the children on the day (they choose beads and we can do together). It would be nice to sell a few hats and do a few jumpers, but they are all in the box from last year. I hate to spend too much time on things that may or may not sell.....Must spend time this week thinking about that. Hi folks. I have been a big ol slacker about postings lately. It seems like it has been rather hard to get back to normal after the summer. And the summer weather that suddenly arrived this week has not helped matters any! Homework for rang a haon is quite a step up and we have had great stress getting used to the spelling tests. Good news is that on the second test small boy got all words correct! I am in transition because I am de-cluttering the house and trying to get ready for painting bedrooms and getting floors put down. How do children acquire so much crap??? I blame Happy Meals. I have two months of gardening to get done in the next few days because God only knows when we will have fair weather again, so I have gotten no craft projects done this weekend. I am in transition because I have craft supplies en route and I can't wait to get started on new projects. I received most of the wool I ordered from yarnroom.com and I have a separate order coming from Fibrecrafts in England. I ordered a whole load of Solufleece as I just LOVE it. I love designing my own fabric and I have great ideas to get on with if it would ever get here. I am in transition because men are driving me a bit crazy with their inability to make up their minds. After a week of dickering around, it is clear that he is too busy for me but does not want me going out with anyone else and is not prepared to do anything to make me feel secure, wanted, needed, appreciated etc. Bloody men anyway. I need my craft supplies to keep my head sane.